Moon phase is ideal for gazing at the Geminids meteor shower. The peak of this shower coincides with a Waxing Crescent Moon, so fainter meteors may be visible. The Geminids meteor shower is the final major meteor shower of the year and also the most consistent shower in terms of putting on fruitful display. 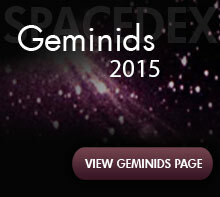 In 2015, the Geminids are best viewed on the night of December 13th though the morning hours of December 14th. The Geminids are known for producing 100-150 meteors per hour during perfect conditions.. 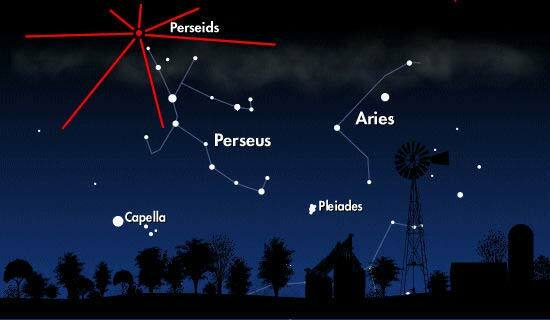 Eager star gazers may be in for a treat this year, as we expect a good show under completely clear skies. The Waxing Crescent Moon (12% Full) will coincide with the peak of the Geminids this year. This may increase the number of meteors you'll be able to see streaking through the night sky. Observers may have the opportunity to observe the faintest meteors. Using optical devices such as binoculars or telescopes is not recommended, as your field of view will be greatly restricted, thus making the possibility of missing a "shooting star" more likely. For the best view, meteor gazers should face in any direction away from constellation Gemini and the moon, which will appear close to the constellation. This way you won’t have the bright moon within your field of view. The constellation Gemini (The Twin) is the radiant of the Geminids meteor shower, which means that meteors appear to radiate from within the constellation. Correspondingly, the Geminids meteor shower is named after Gemini. Unlike many of the other major meteor showers, the Geminids can be viewed early in the evening. 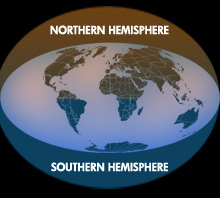 This is due to the radiant (the constellation Gemini) being about 30 degrees above the eastern horizon by 9:00pm. Please be aware that local conditions such as cloud cover, light pollution, and precipitation will also play a major role in the number of meteors you are likely to see. Remember to dress warmly and to get comfortable. We wish you a wonderful viewing experience, and hope that the last meteor shower display of 2015 packs in several surprises for you and yours!